Work is underway at the Northshore Mall in Peabody to create a patio and outdoor stage for community events and performances. Judith Eissner of Marblehead has been a loyal visitor to Northshore Mall for decades. Even though she adapted quickly to computers and the idea of e-commerce, she continued to patronize the Peabody shopping destination out of an ideological commitment to supporting brick-and-mortar businesses. People must be at home shopping online, Eissner surmises, and she understands why. “I tried to resist online shopping for a time, but it’s just so easy for items like clothes and gifts,” she said. But by next spring, visitors to Northshore Mall will find a lot more than traditional retail. 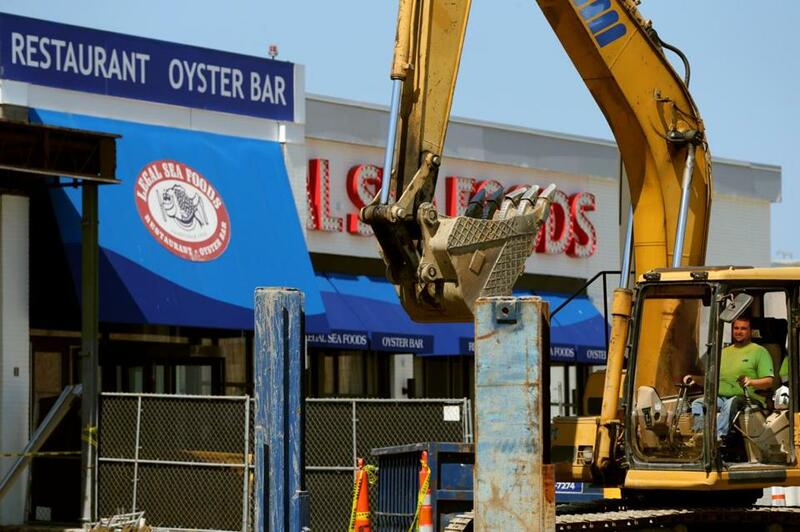 A multimillion-dollar project is underway to improve the mall’s food offerings and landscape. There will be new restaurants, a patio with open outdoor seating, and an outdoor stage for community events and performances. And the stores themselves? Many are upgrading or expanding. Far from surrendering in the face of e-commerce, malls from Hanover to Natick to Watertown are rallying, not only with new retailers, but with new experiences ranging from outdoor dining to grocery shopping to total village living. A rendering shows the planned outdoor lifestyle center at the Hanover Mall. 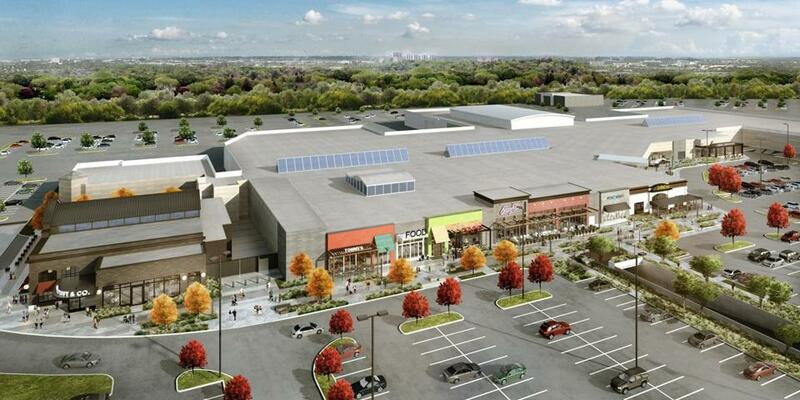 South of Boston, Hanover Mall will be transformed from an indoor, corridor-style mall to an outdoor-facing complex called Hanover Crossing, where shoppers can park close to the stores they want to visit and wander along landscaped walkways as they browse. Though outdoor malls were once associated with climates more conducive to year-round shopping — such as the Stanford Shopping Center in Palo Alto, Calif. — Hanover Mall officials are confident the approach can succeed here, just as it has at Derby Street Shoppes in Hingham and the Wrentham Village Premium Outlets. And perhaps living and working there as well. In Watertown, the aging Arsenal Mall is about to be remade into Arsenal Yards — with 325,000 square feet of retail, 165,000 square feet of office space, 425 residences, and a 150-room hotel. It will also offer easier access for bicyclists and pedestrians to the adjacent Arsenal Park on the Charles River. 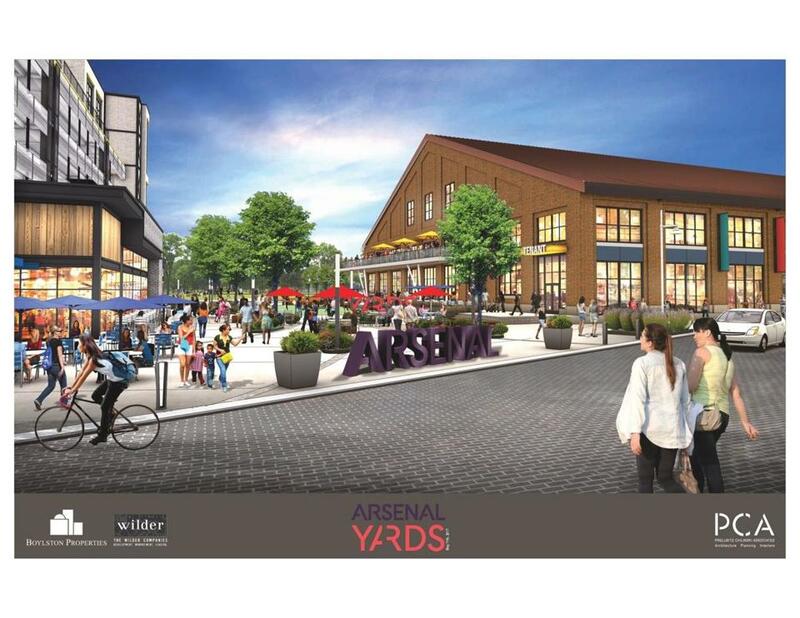 A rendering of Arsenal Yards planned in Watertown. The Natick Mall made a similar leap a decade ago with the opening of Nouvelle at Natick, a condominium complex with its own private hallway leading directly to the atrium of the once-renamed Natick Collection (later reverting to the original name). But it, too, recently unveiled a surprise. The space formerly occupied by J.C. Penney is being converted into a 134,000-square-foot Wegmans, the New York-based gourmet emporium that offers groceries, liquor, elegantly prepared take-home food, and a self-service buffet featuring everything from sushi to barbecue. The supermarket will occupy two floors, including in-store dining, and Wegmans is seeking a tenant for the third floor. And if the popularity of malls is flagging, you wouldn’t know it from 34-year-old Kelly Mitchell, who frequented the Natick Mall as a teenager growing up in Southborough and now makes frequent lunch-hour stops there from her office just a few minutes away. 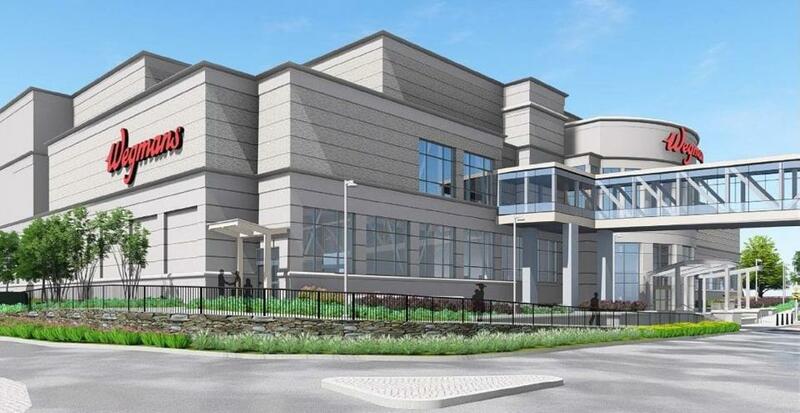 A rendering of the Wegmans supermarket under construction at the Natick Mall. Bill Rennie, vice president of the Retailers Association of Massachusetts, said that what malls need in order to succeed isn’t just the stores where people want to shop; it’s a concept with overall appeal. Giuia Grady visits Northshore Mall more as a social experience than a retail one. She appreciates it mostly for its location, which makes it easy for the Gorham, Maine, resident to meet up with friends from Massachusetts. But Grady, who travels frequently to California, has witnessed the trend of West Coast malls toward more upscale dining, and she welcomes the idea of Northshore Mall following suit. According to mall manager Mark Whiting, plans include adding a Bancroft & Co. steakhouse and Tony C’s Sports Bar & Grill. 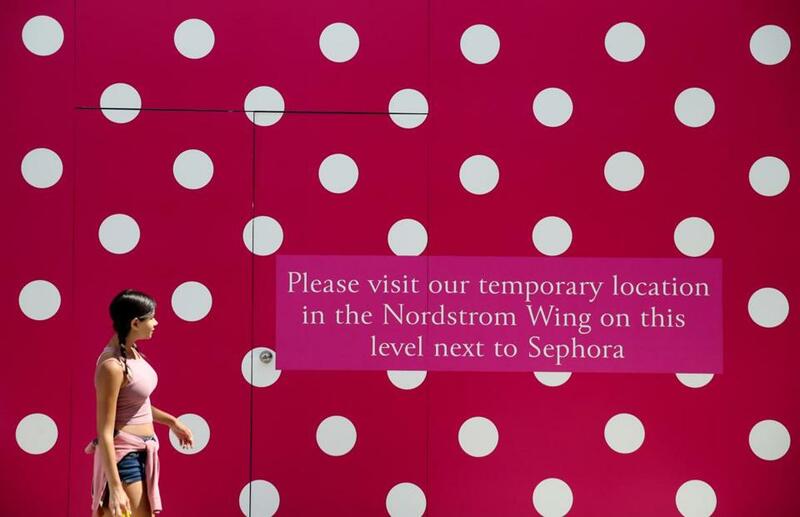 Numerous longstanding stores, such as Pink and Victoria’s Secret, are expanding as well, with construction expected to be completed in spring 2018. A rendering shows the new outdoor space and landscaping planned at Northshore Mall in Peabody. Pink is under construction and will open in November at the Northshore Mall. in Peabody, MA on August 09, 2017. 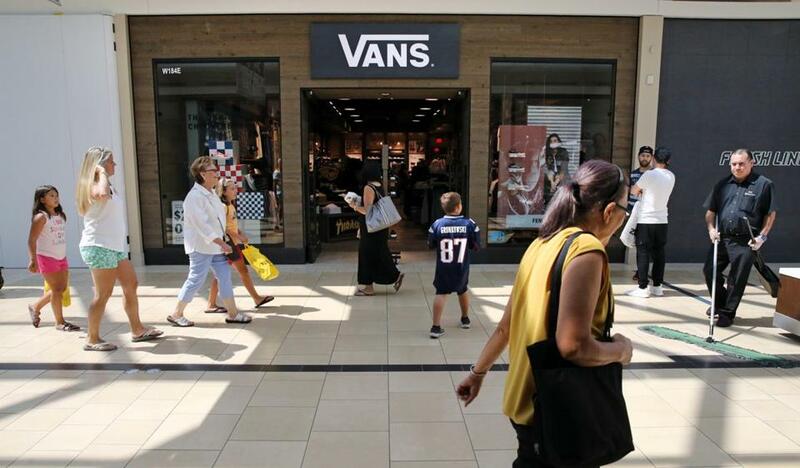 Vans opened on Aug. 8 at the Northshore Mall in Peabody. Other stores are upgrading or expanding.